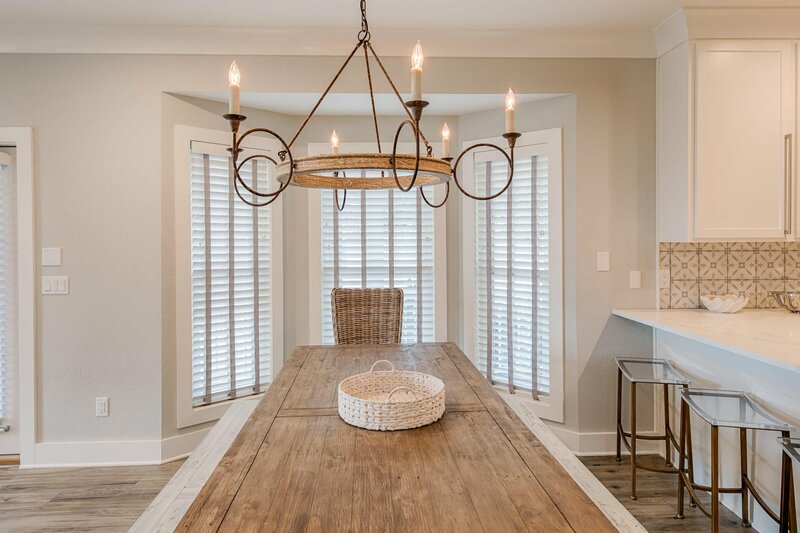 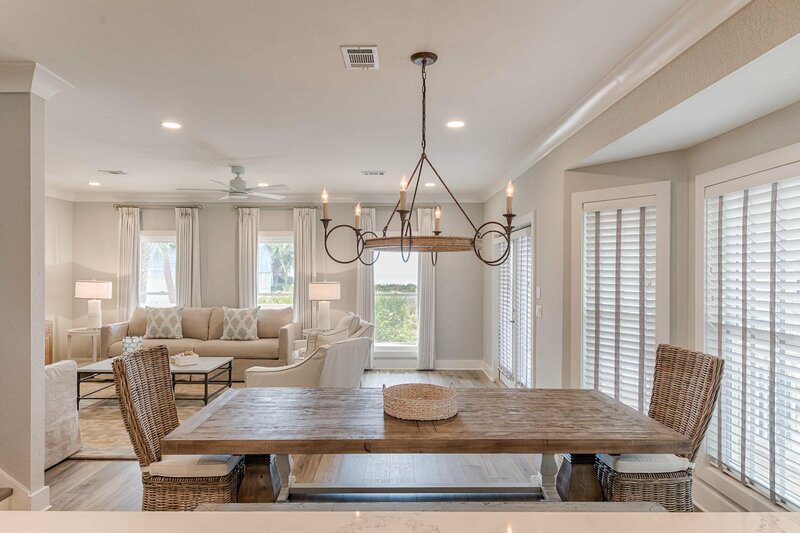 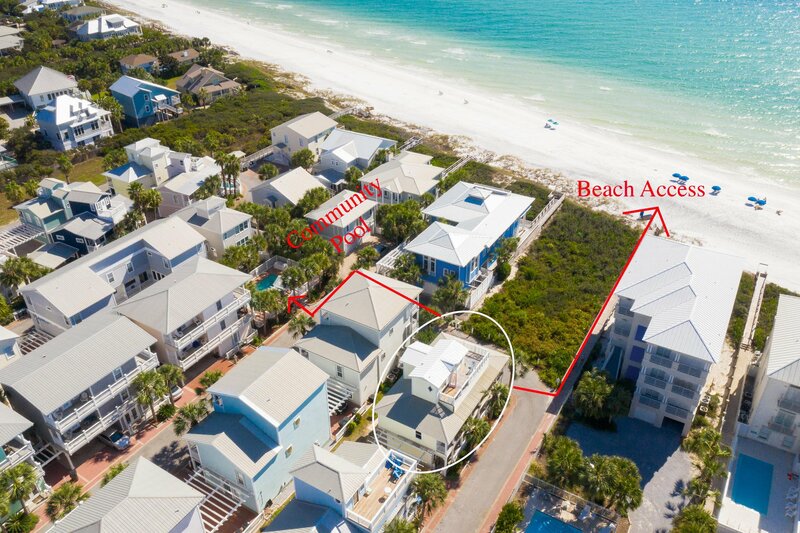 This charming three-story beach cottage in Seagrove presents like new, thanks to a recent makeover . 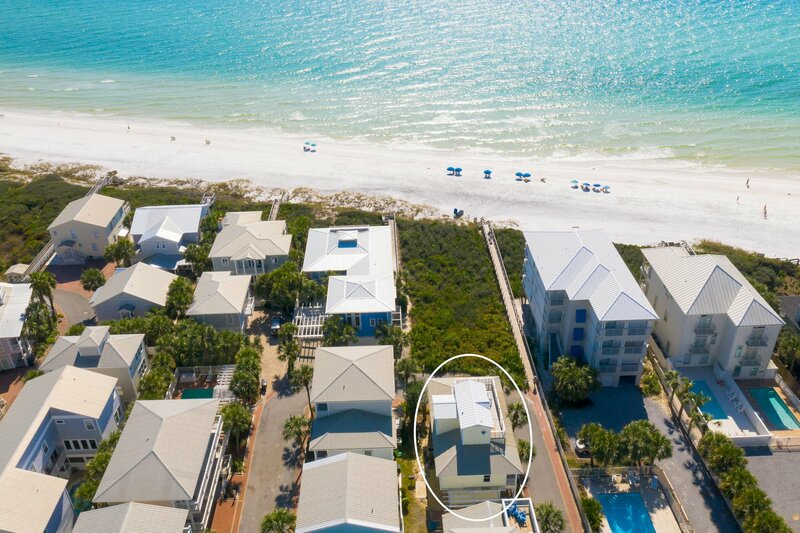 Every floor of this well-located home has a covered terrace, deck or open balcony delivering unobstructed gulf views to captivate the eye. 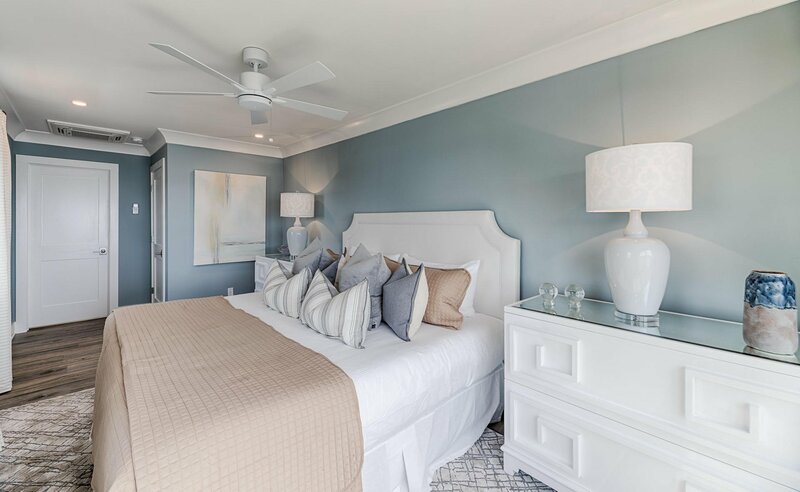 Fully furnished and professionally decorated by Bella Beach . 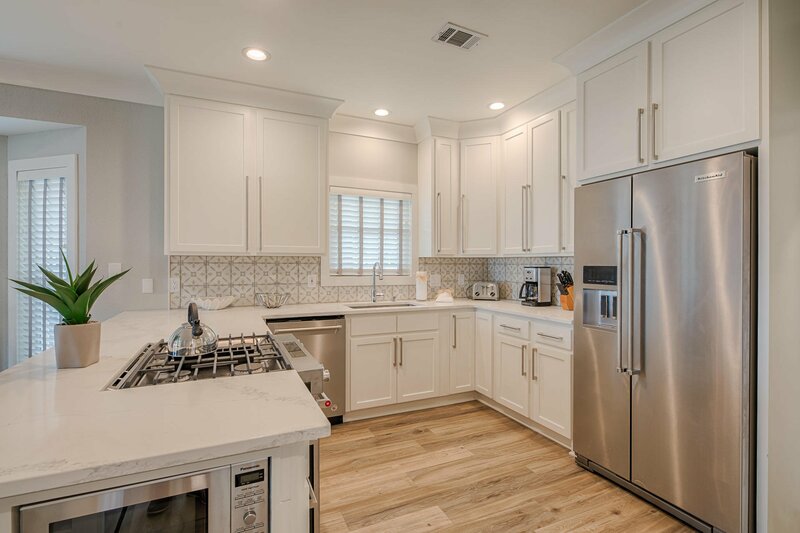 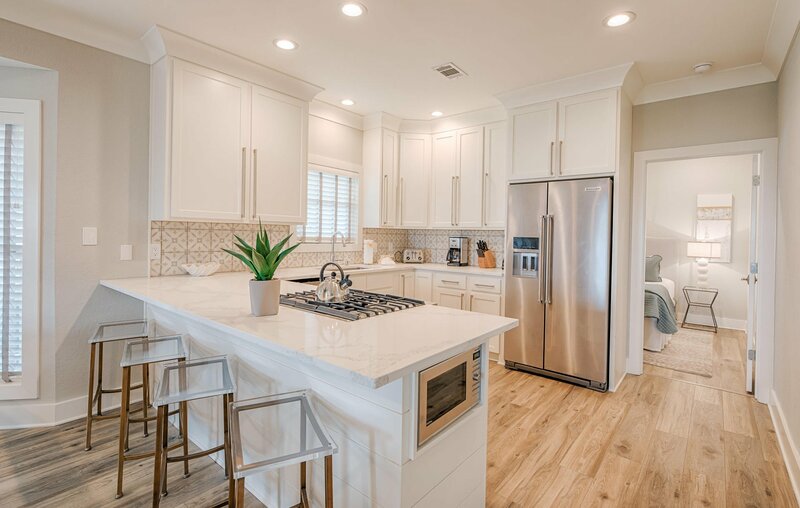 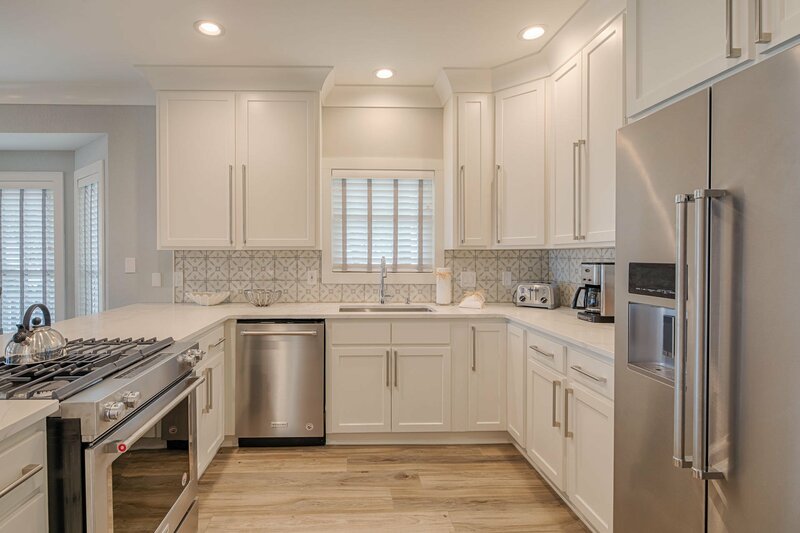 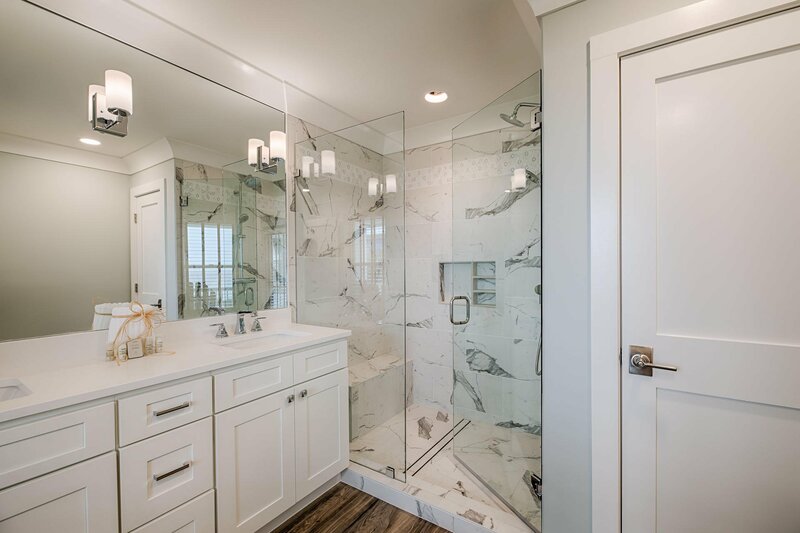 Remodeling includes new flooring, countertops and freshly painted decor complemented by modern bathrooms (all 5.5 of them). 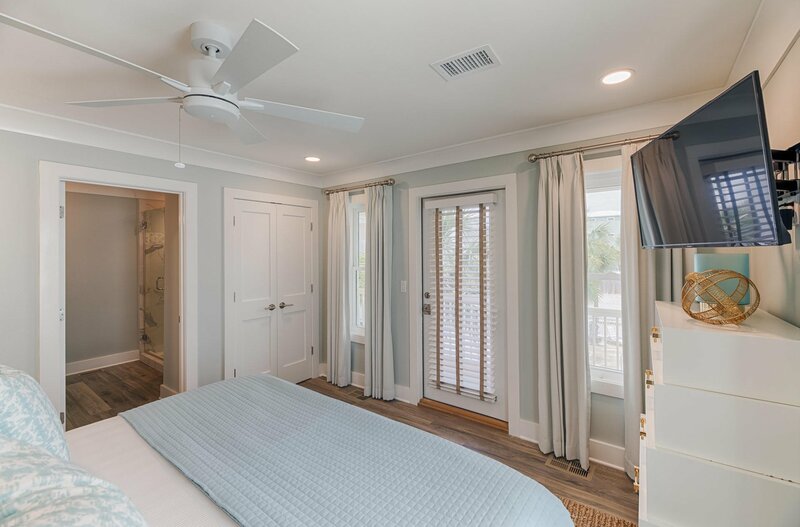 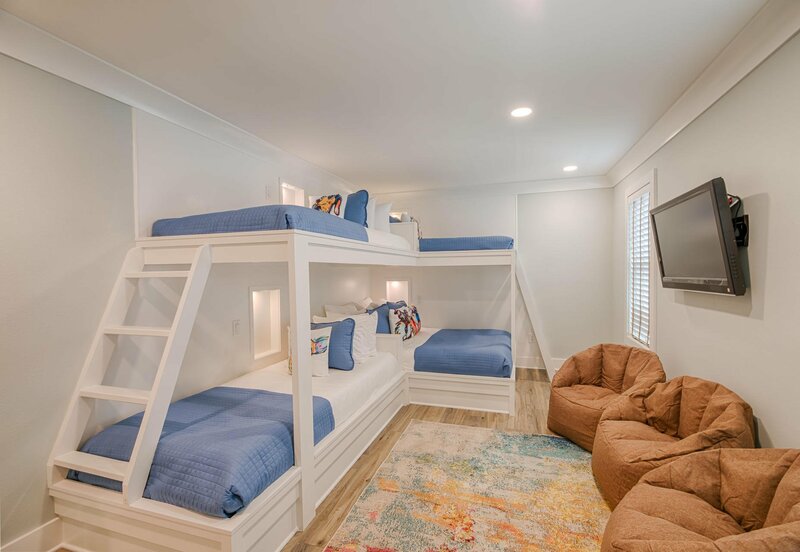 Five bedrooms, 4 of which are king-bed master suites, plus a bunk room with 1 queen and 3 twin xl, make this a popular home for entertaining or renting out when not in use by the owners. 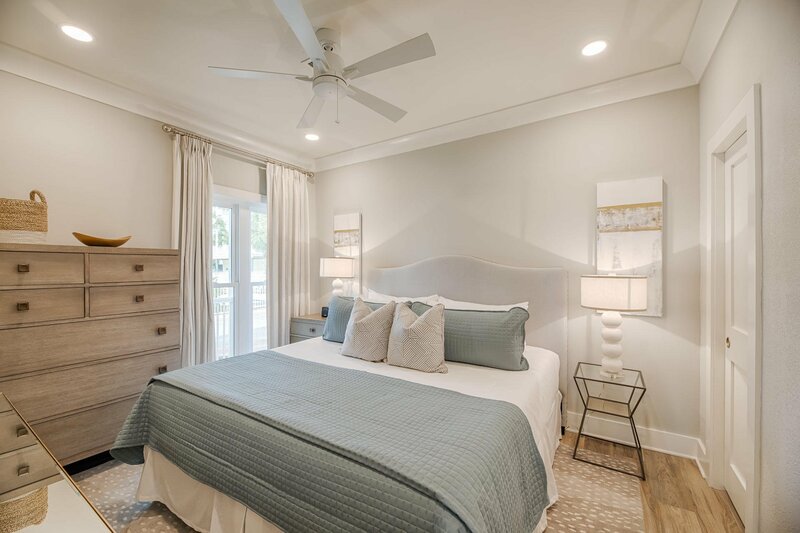 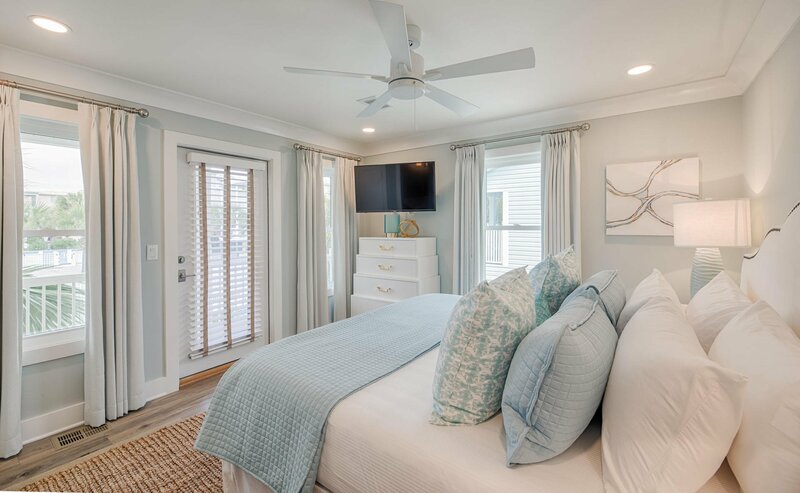 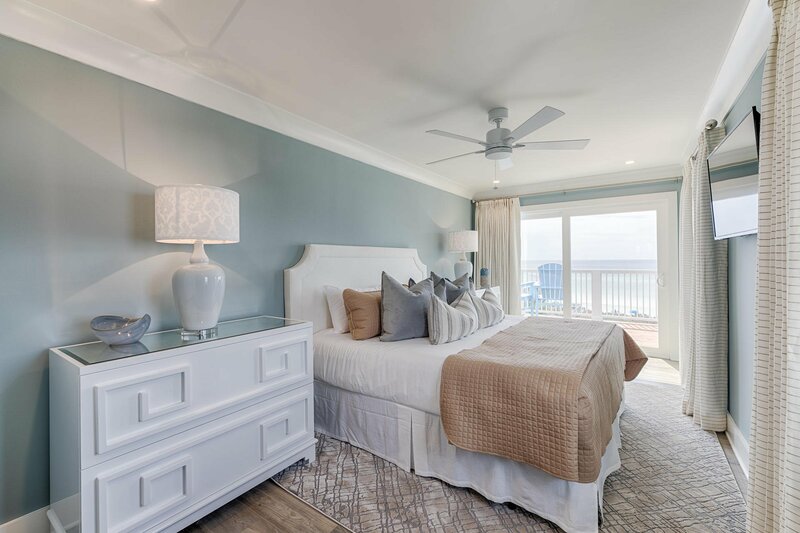 From the second floor master suite, your first view every morning will be of dazzling white sand lapped by azure waters sparkling in the morning sun There is an expanded second master on the third floor with equally captivating views.The beach walkover is just 18 feet from the door. 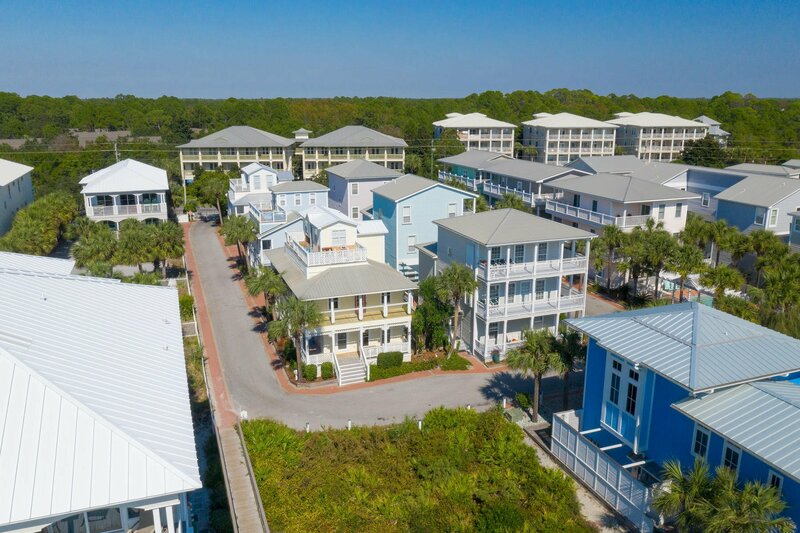 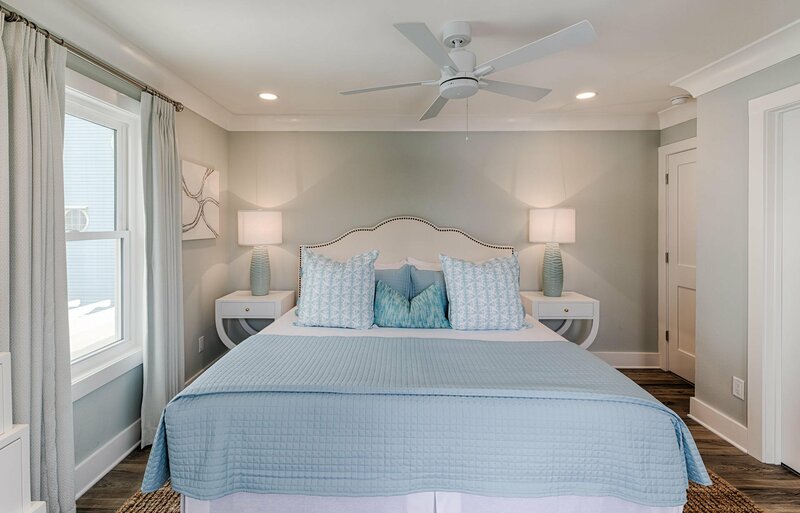 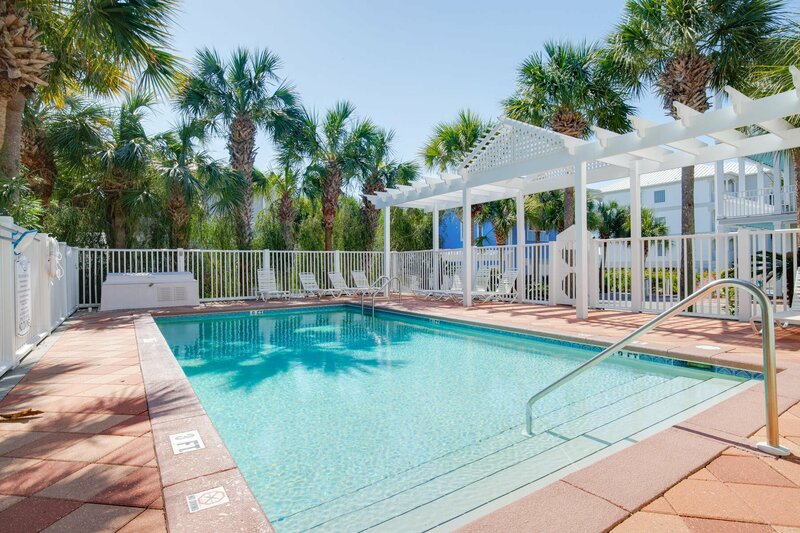 Days can be spent walking on the beach, sunbathing and generally de-stressing with a dip in a beautiful community pool just around the corner which is shared by just 11 neighboring beach homes. 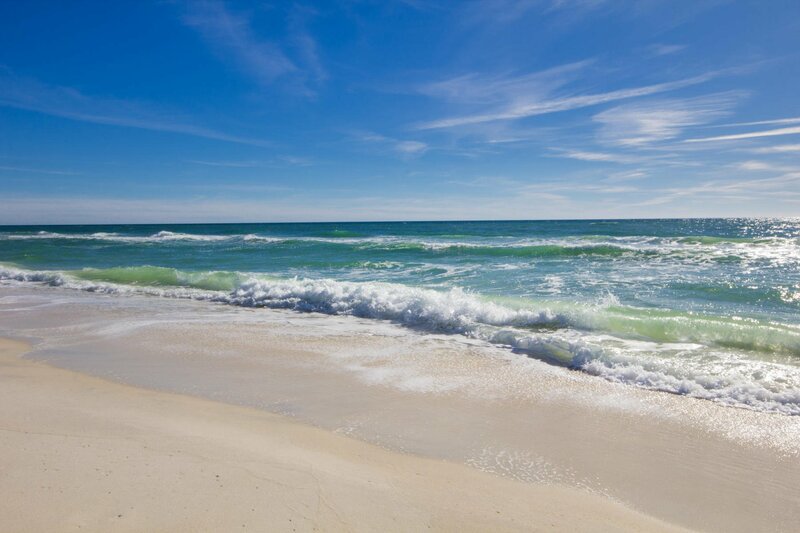 Evenings should be reserved for sitting back and toasting stunning sunsets that set the sky ablaze. 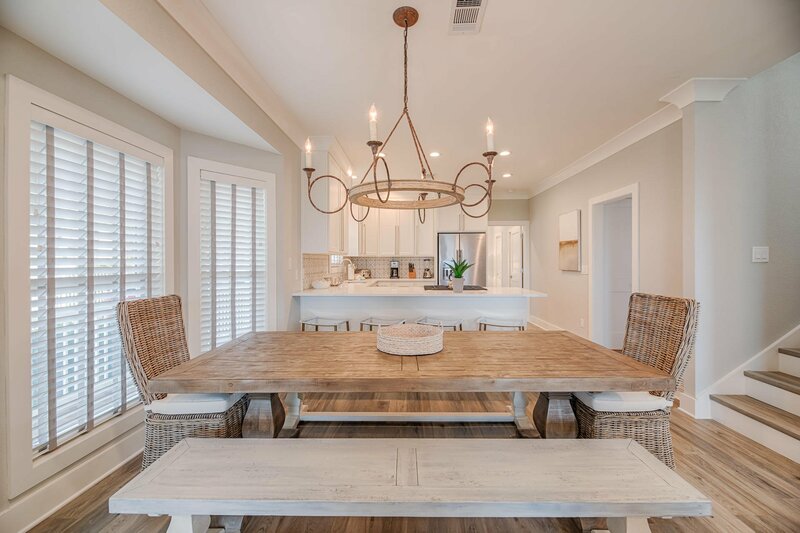 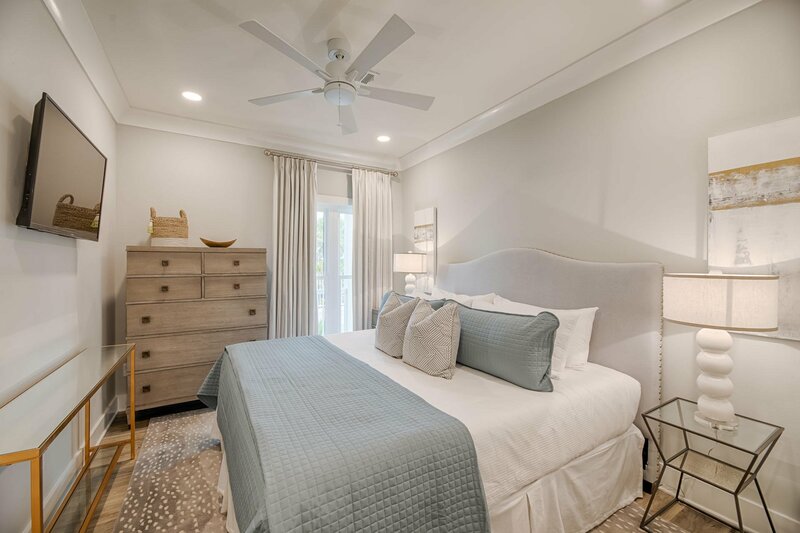 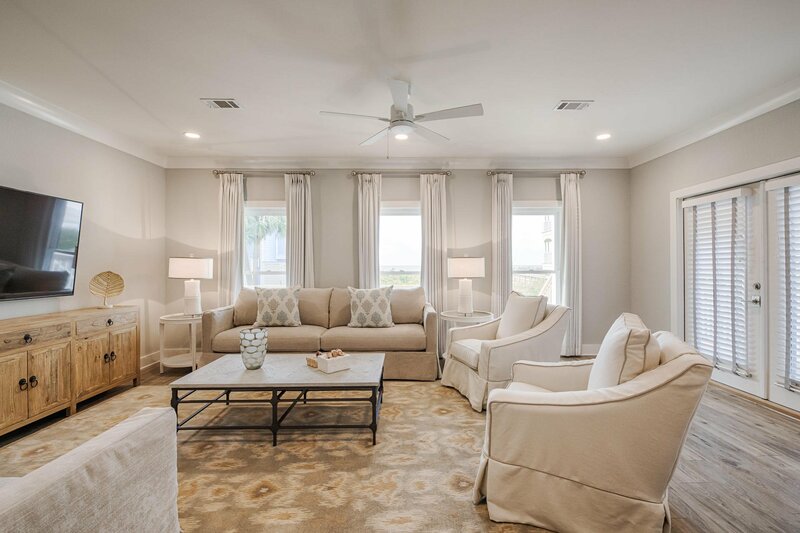 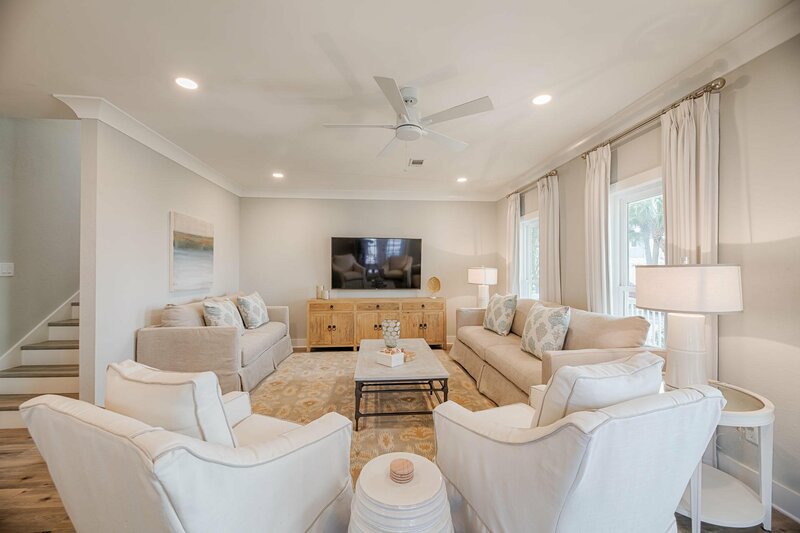 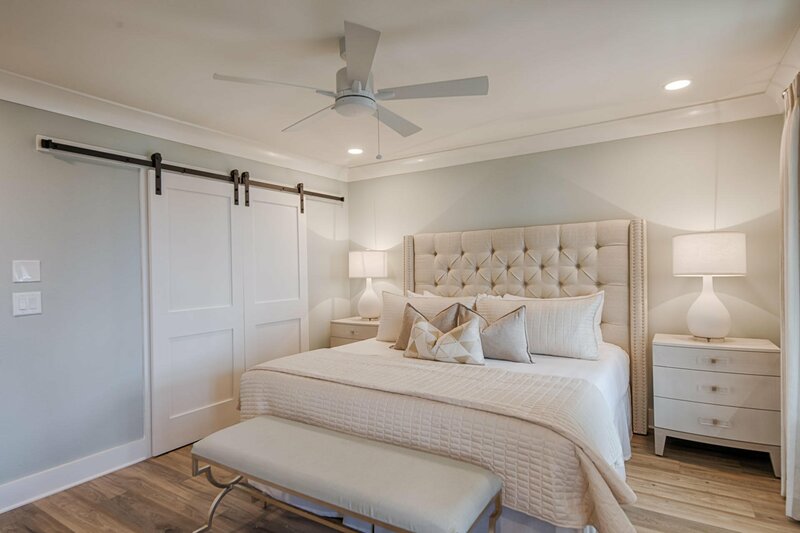 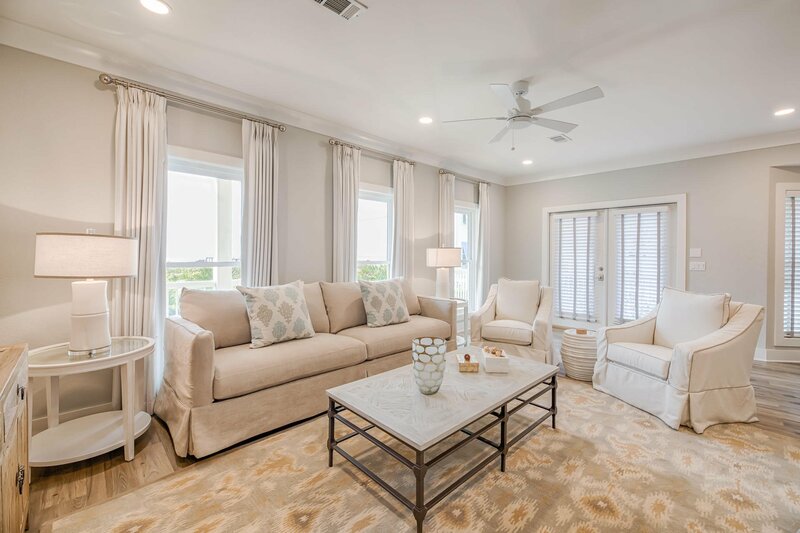 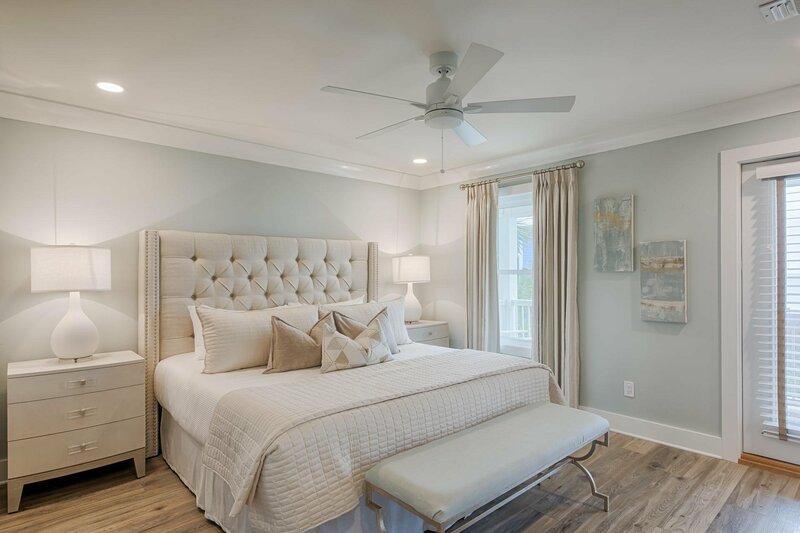 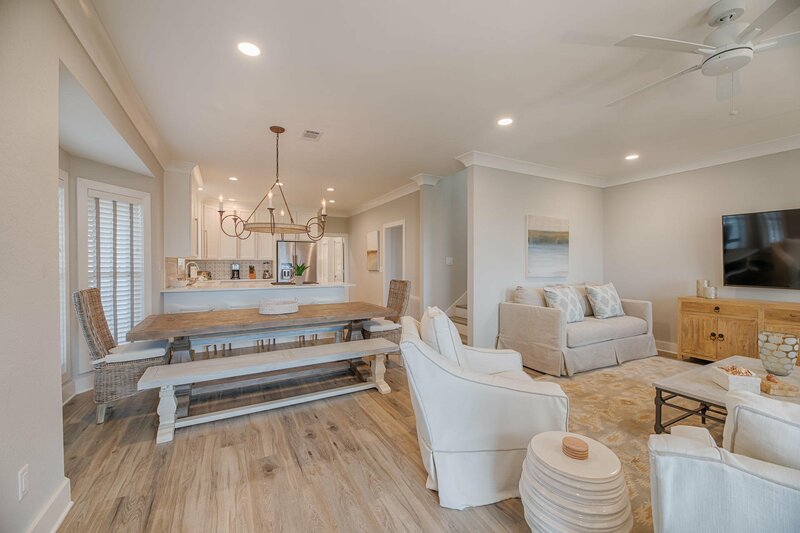 This spacious home is set in a gated community which has carefully planned covenants limiting build height to preserve those all-important gulf views. 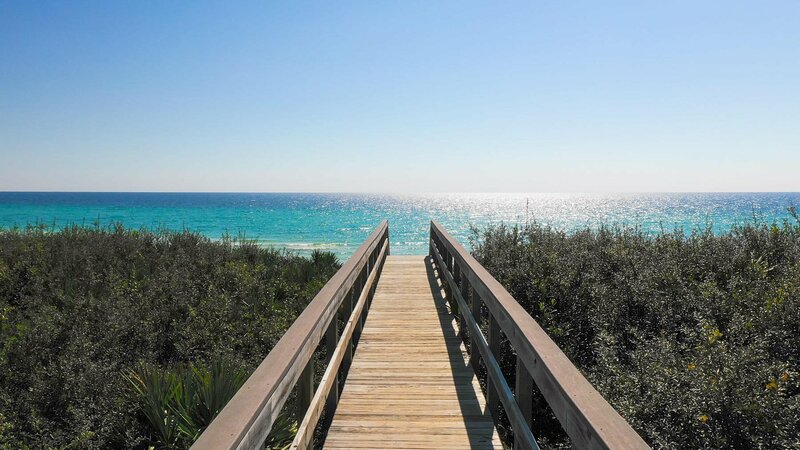 Time out can be spent exploring Seagrove Beach with its shops and amenities or hiking in neighboring Deer Lake State Park. 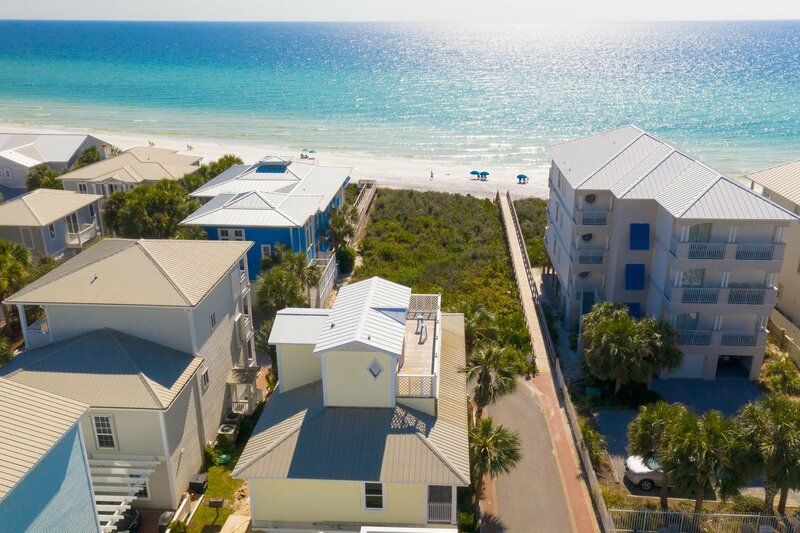 Whether you're looking for pizza, comfort food or freshly caught seafood, you'll find a selection of renowned restaurants and cafÃ©s nearby along Scenic 30A.